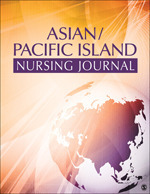 Los Angeles, CA - Leading independent and academic publisher SAGE, today announces the launch of a new open access journal, Asian/Pacific Island Nursing Journal (APN). The only scholarly publication dedicated exclusively to Asian, Asian American, and Pacific Islander healthcare, APN provides an international forum for the exchange of knowledge among researchers, educators, and practitioners. The new journal will unify nursing science and behavioral and social science health care providers. APN will publish its first issue in 2015. To learn more, visit http://ow.ly/AybTP. Dr. Jillian Inouye is a Professor and Associate Dean for Research at University of Nevada, Las Vegas (UNLV), Schools of Nursing and Allied Health Sciences. Dr. Carolyn Yucha, Dean of the UNLV Schools of Nursing and Allied Health Sciences, will serve as Consulting Editor. Both scholars are seasoned editors of top-ranked health research journals and have served as prominent nursing professionals.